Today we would like to look at one of IT outsourcing success stories: a $2.25 billion contract for IT outsourcing company. The India’s top IT exporter Tata Consultancy Services (TCS) has bagged a $2.25 billion outsourcing contract from Nielsen, a television rating measurement firm. The deal is reportedly the biggest ever outsourcing deal for an Indian IT firm. And at $139.5 million in 2025. 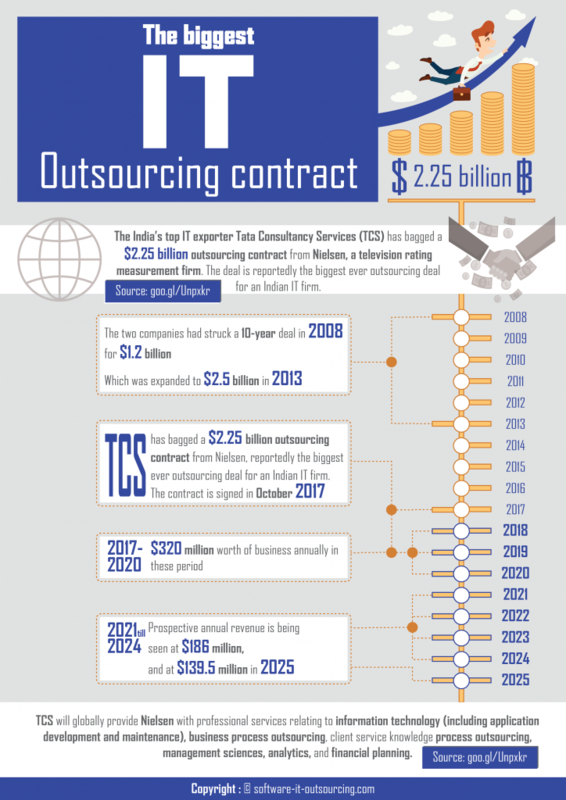 IT outsourcing success stories: a $2.25 billion contract for IT outsourcing company. Learn the terms of the contract, parties and what kind of services were outsourced. Read now.